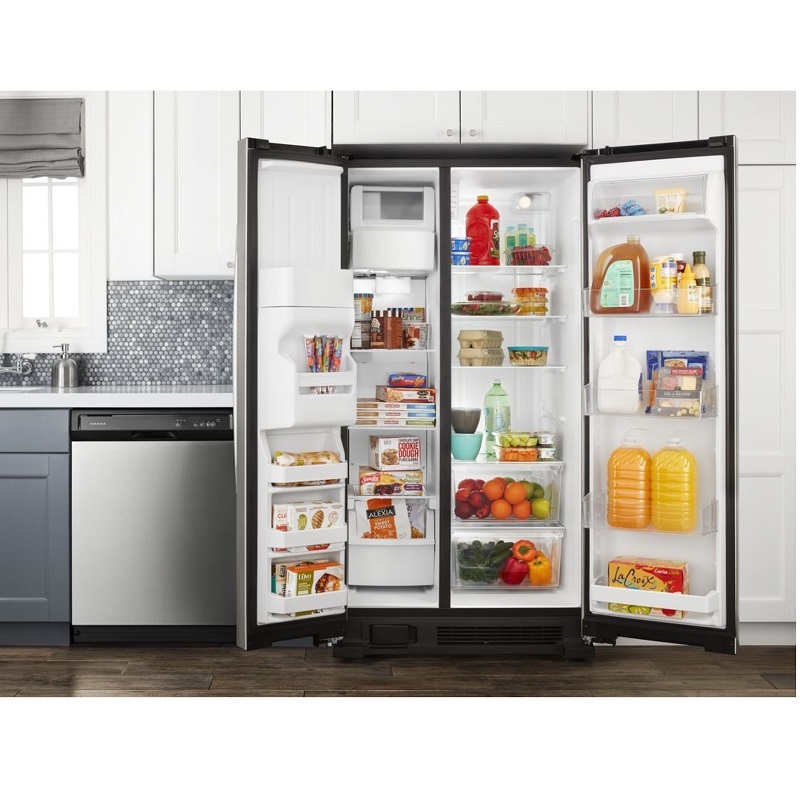 This 35.5-inch wide Amana side by side refrigerator with a 25 cu. ft. capacity can keep big beverages like milk jugs and juice cartons right within reach in the gallon door storage bins. It makes food storage simple. This 25 Cu. Ft. refrigerator with ice and water dispenser lets you grab fresh H2O on the go.